The 70th birth anniversary of Pakistan was celebrated in which people of every walk of life participated. The artists have also shown their passion and enthusiasms through their special performances on this beautiful day. Their performances gave the amusement to the people and they showed their joy and happiness over these performances. 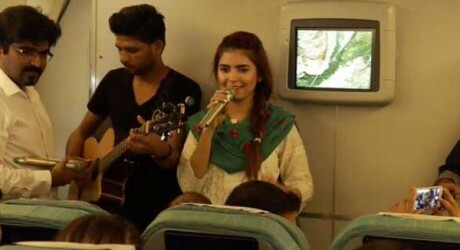 Pakistan International Airline (PIA) invited the new and talented singer, Momina Mustehsin, who got the popularity from Coke studio, to show the performance during the flight. 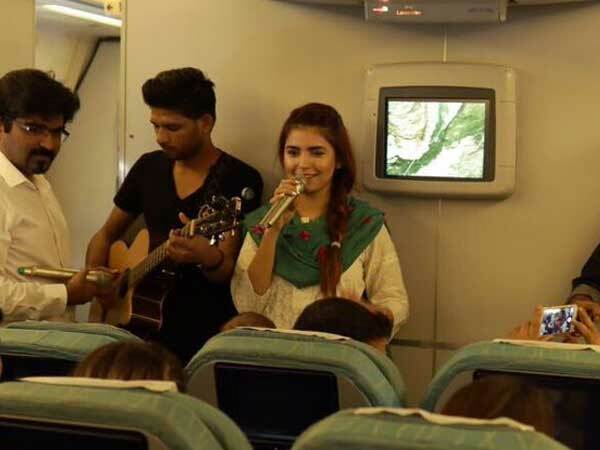 She sang the national song, ‘Dil Dil Pakistan’ during the flight PK-308 and it gave the wonderful and beautiful experience to the passengers. They were surprised to find the national singer among them and they joined her during the singing. When she was performing with the passengers, the airplane was flying at the height of 30,000 feet. 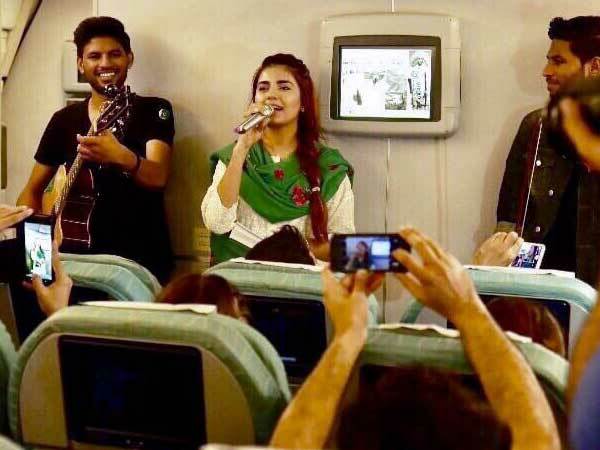 It was her first live performance during the flight and the people danced on the lyrics of the national song. She was dressed in the white and green colored dress and was looking very decent and cute. The passengers were taking the selfies with her during the flight.